For much of its history, astronomy has been a science of one: One astronomer, using one telescope and one scientific instrument, looking at one object at a time. In recent decades, though, the lone astronomer has given way to big teams, which may use several telescopes or look at hundreds of objects in a single observation. 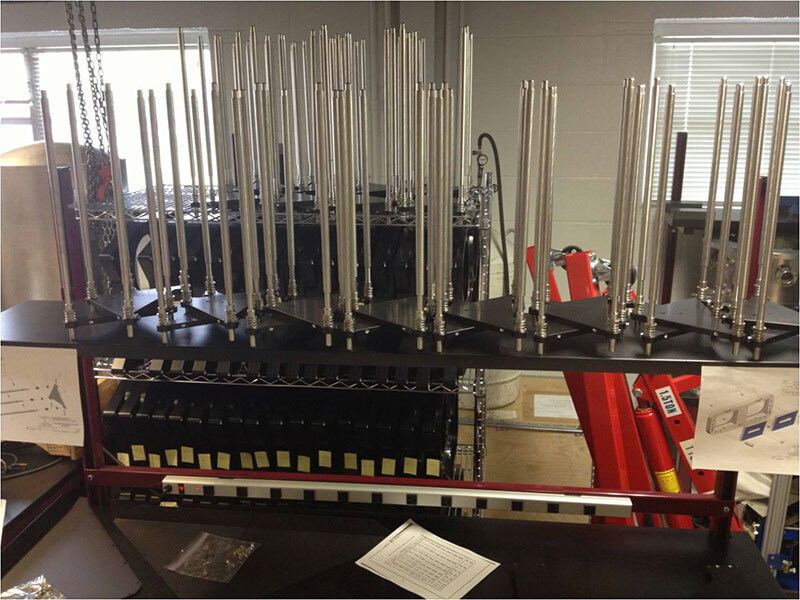 And now, HETDEX is getting ready to replace the single instrument with a suite of 150 identical spectrographs. Known as VIRUS, it will allow HETDEX astronomers to study hundreds of galaxies in a single view and tens of thousands in a single night — all to help explain mysterious dark energy. 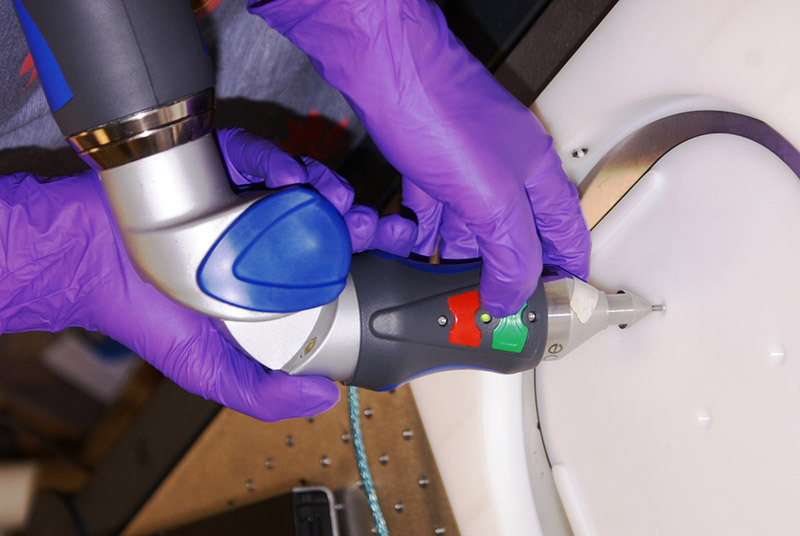 Teams of scientists, engineers, and students are completing the VIRUS (Visible Integral-field Replicable Unit Spectrograph) units, pulling together pieces built or crafted in Germany, England, and the United States. All 150 units should be completed and in place by mid-2014, allowing HETDEX to begin full science operations by summer. Each VIRUS unit will receive light from distant galaxies, gathered by the Hobby-Eberly Telescope, through a bundle of 224 optical fibers. That will give the VIRUS system a total of more 33,000 fibers. By comparison, the greatest number of fibers in any spectrograph deployed to date is about 400. The light will pass through a series of six mirrors and lenses, which are housed in two connected units. 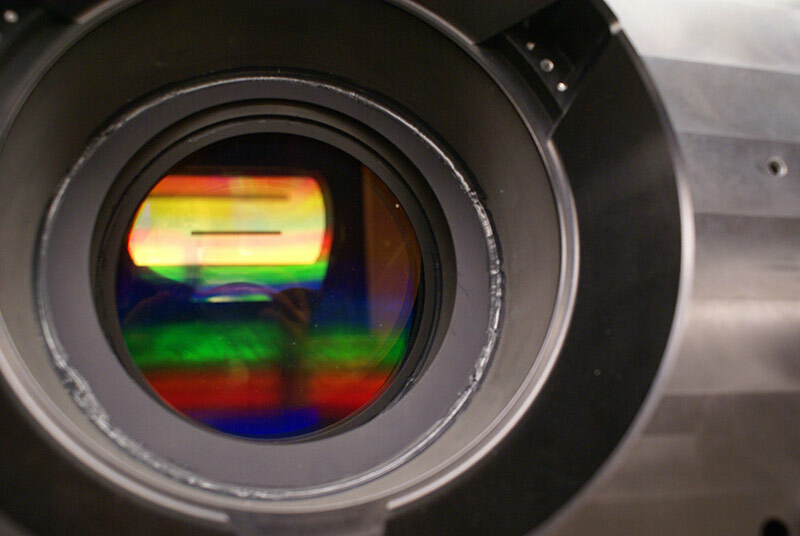 The first unit, the collimator, uses two mirrors to ensure that the light from all of the optical fibers is properly aligned to enter the second unit, the camera. The collimator also includes a glass known as a grating, which disperses the light into a rainbow colors, from the violet to blue. The collimators are assembled at Texas A&M University in College Station. 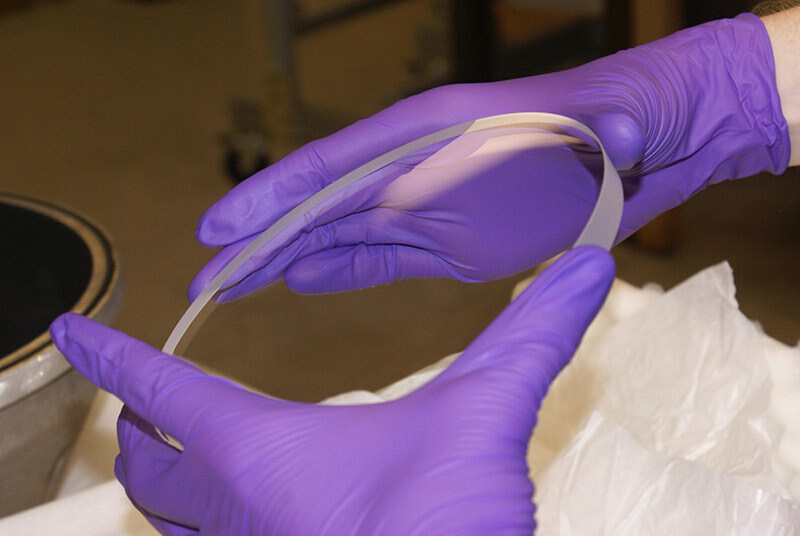 Each unit consists of about 100 parts in five major sub-assemblies, including custom optics, mechanical systems, and enclosures created by multiple vendors and HETDEX partners, such as Oxford University in England, as well as Texas A&M’s own mechanical engineering workshops. 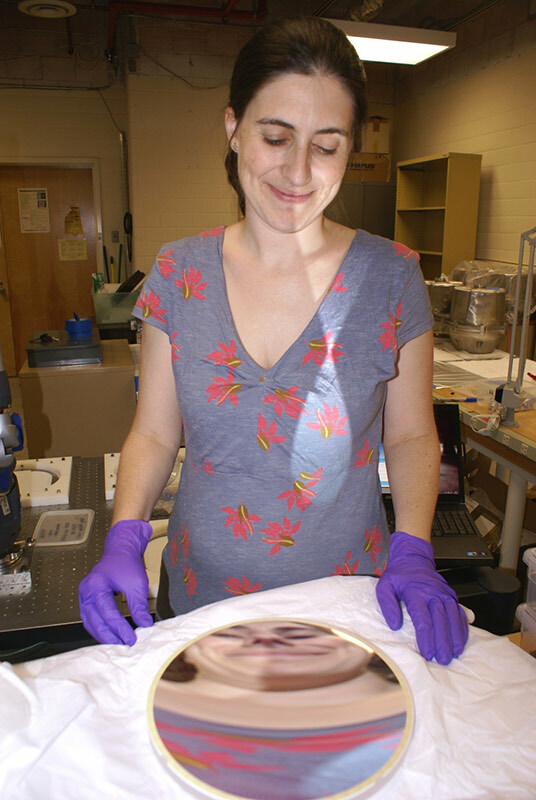 “We have some great engineering capability here, and we’ve taken advantage of it,” says Jennifer Marshall, the Texas A&M research scientist who oversees collimator assembly. 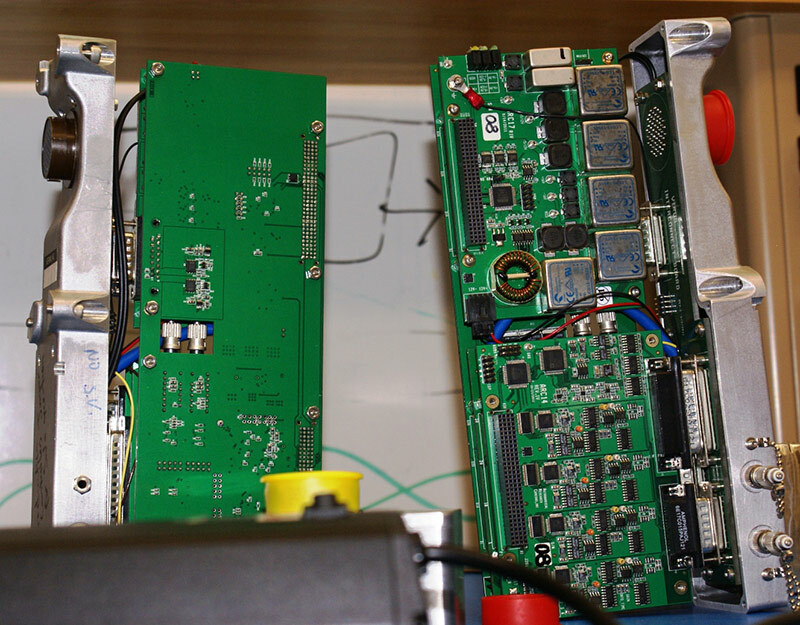 A few completed collimators are stored until they’re ready for integration with the camera assembly in Austin. “We send them off when Sarah says she’s ready for them, then we build some more,” says Marshall. 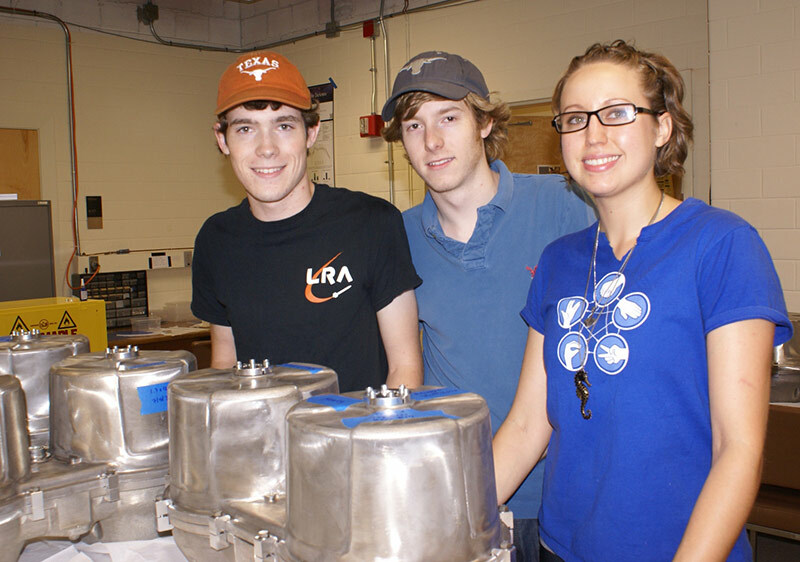 The collimators are united with the cameras, which are assembled in labs in Robert Lee Moore Hall on the UT-Austin campus. 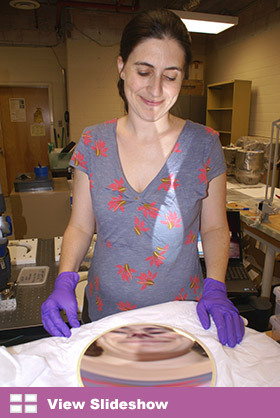 Each camera system contains two lenses and one mirror, which feed light to a four-megapixel CCD, which is aligned and tested in a small clean room. Each camera is vacuum sealed and will be cooled to about 150 degrees below zero Fahrenheit (-100 C) with liquid nitrogen. 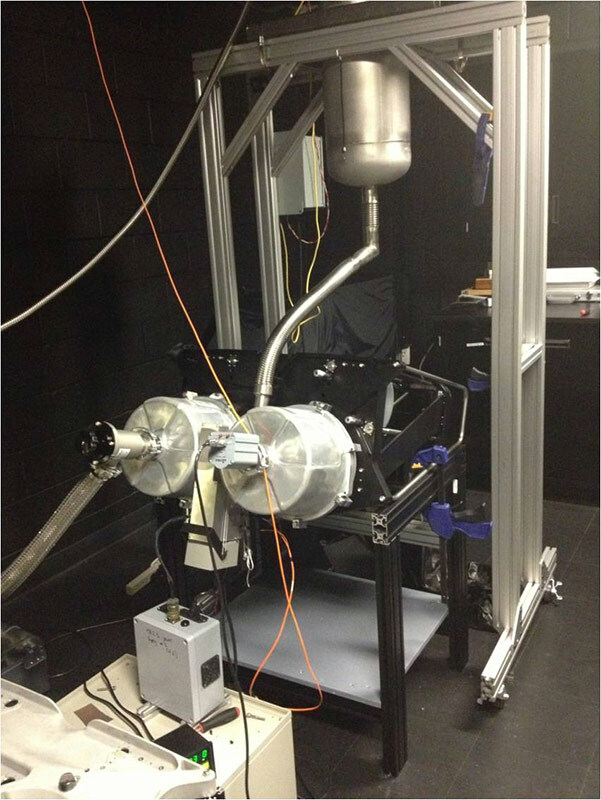 After each camera unit is assembled and tested — also largely by students — it is united with the collimator. 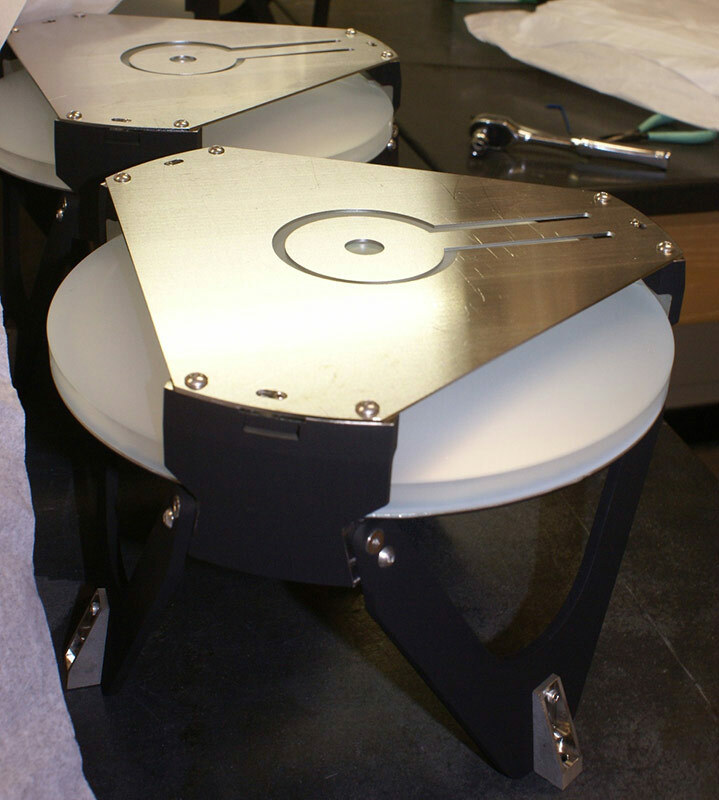 Two completed VIRUS units are placed in a single package that looks like a pair of metal bongo drums attached to a black plastic storage container. 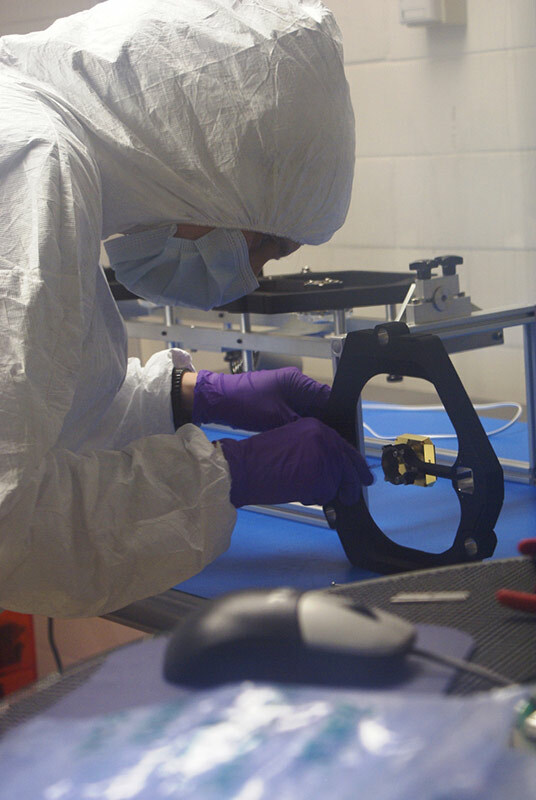 When it’s installed on the Hobby-Eberly Telescope, VIRUS will provide a powerful new way to study not just dark energy but other astronomical phenomena. It also could serve as a forerunner of a new way to study the stars.